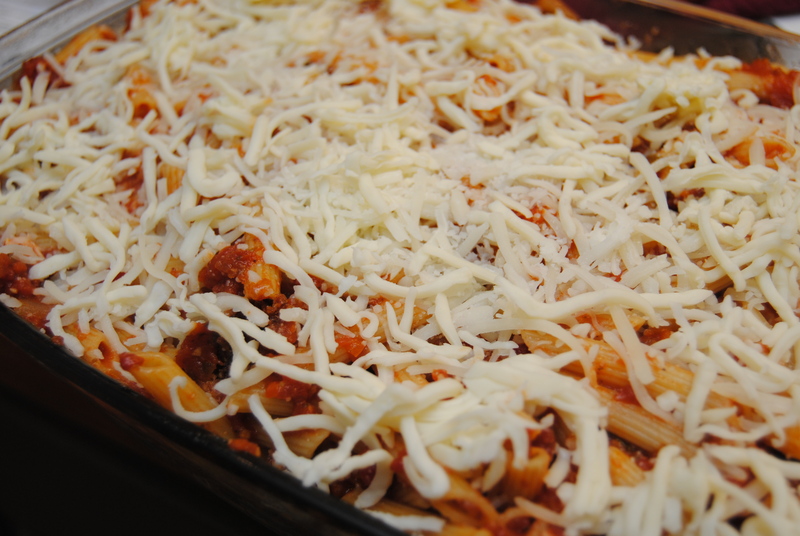 The last stop on my cooking marathon yesterday was this dish – Chicken Parmesan Casserole! I love the idea of deconstructing a traditional dish and turning it into a casserole (see also Chicken Cordon Bleu Mac and Cheese). So I thought I’d do something similar to this Italian classic. The fact that I love fried chicken helped to add this to my dinner rotation for the week too. I have to say that it turned out great and every bite was definitely reminiscent of the original dish. 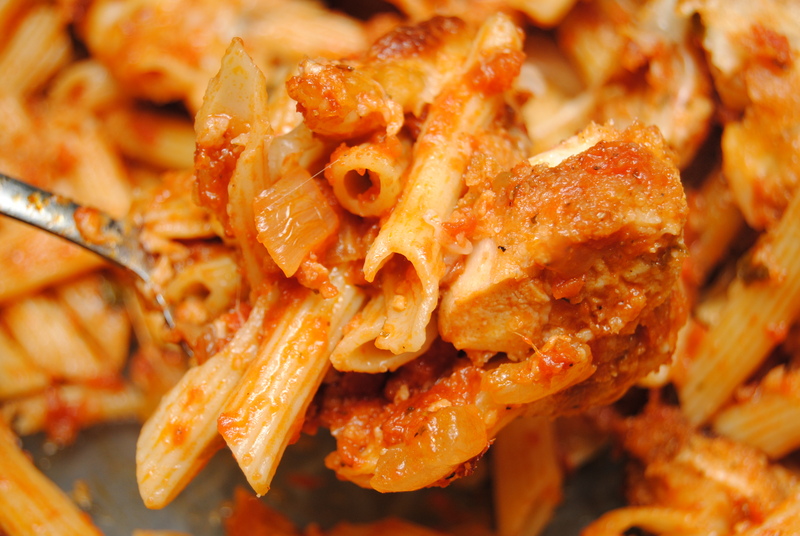 Some of the breading from the chicken gets mixed in with the pasta and sauce and continues the flavor throughout. Yum, yum! I made own Italian bread crumbs (because I have yet to find a store-bought brand that is all-natural) to bread the chicken. 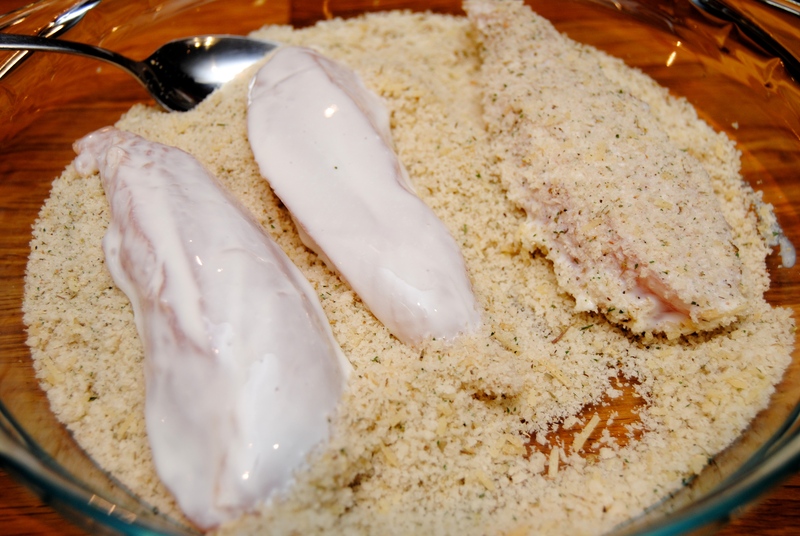 By the way, frying chicken with these breadcrumbs and buttermilk just as a normal fried chicken entree is awesome, and even if this dish doesn’t appeal to you, I suggest you try it! Hope you enjoy! 2.) Heat vegetable oil over medium heat. 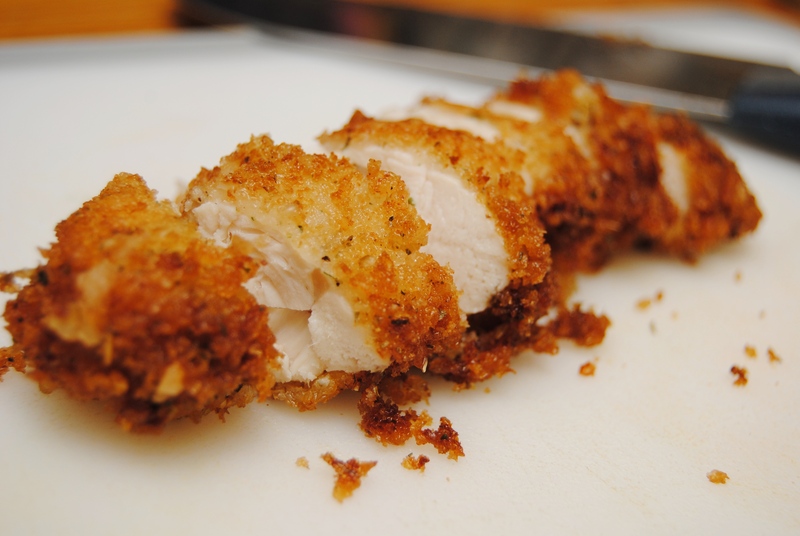 Dip each chicken tenderloin in buttermilk, then dredge in the breadcrumbs, making sure to coat well on each side. Add to hot oil and fry until browned and cooked fully (actual time will depend on the thickness of the chicken – I cooked mine for about 5 minutes on each side). 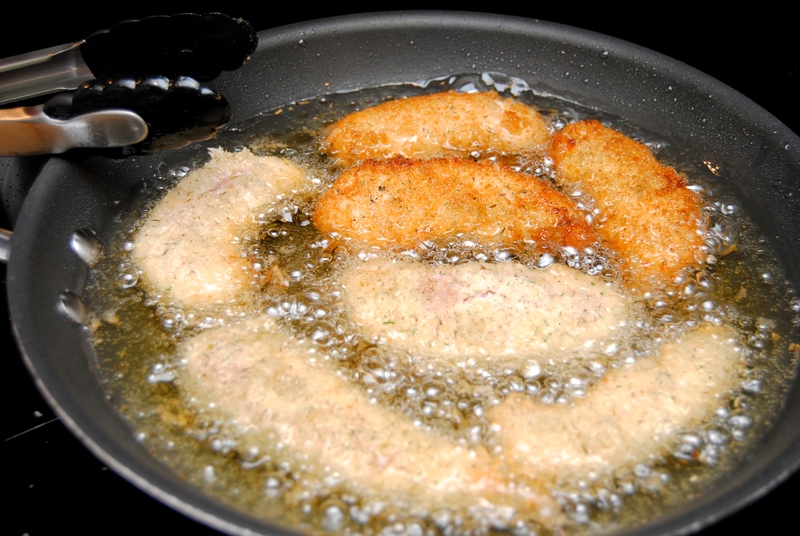 Remove from oil and place on a paper towel lined plate. Transfer to a cutting board and cut into chunks. Set aside. 3.) In a large bowl (or the pot you cooked the marinara sauce in), combine cooked pasta, marinara sauce, parmesan cheese and mozzarella balls. Stir well until everything is well combined. 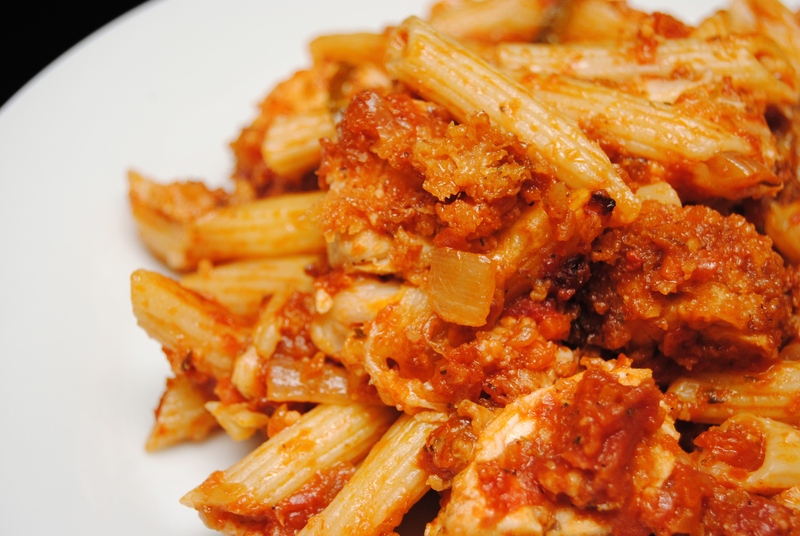 Gently stir chicken into the pasta (so you don’t lose all the breading). Top with shredded mozzarella. 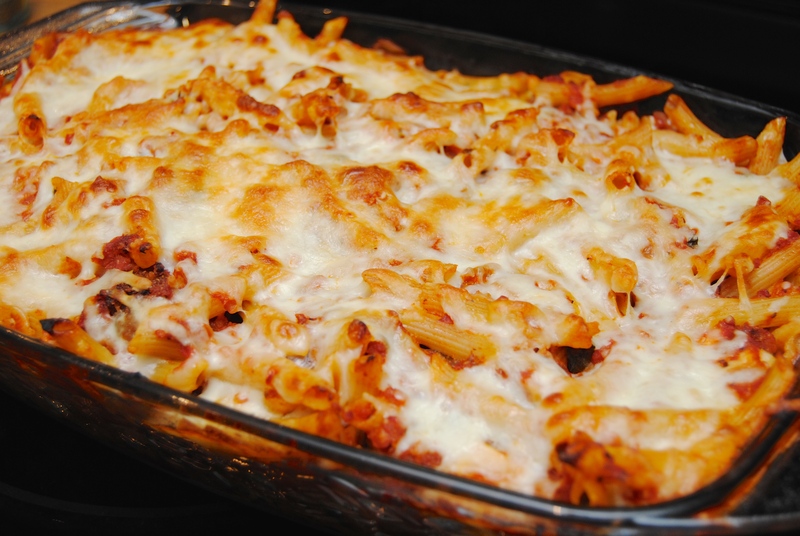 Bake for 25 to 30 minutes, or until cheese is browned and sides are bubbly. 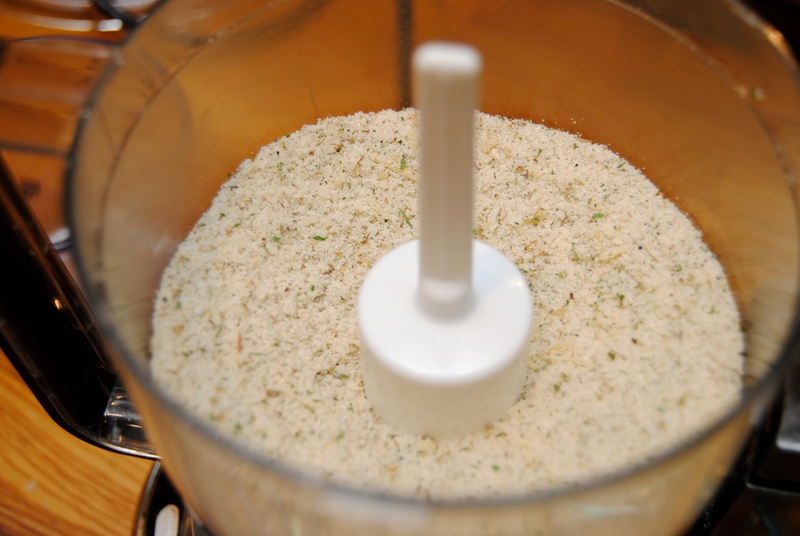 Place all ingredients in a food processor and pulse until well combined and consistency is thinner. Saute onions and garlic in olive oil. Add remaining ingredients and bring to boil. 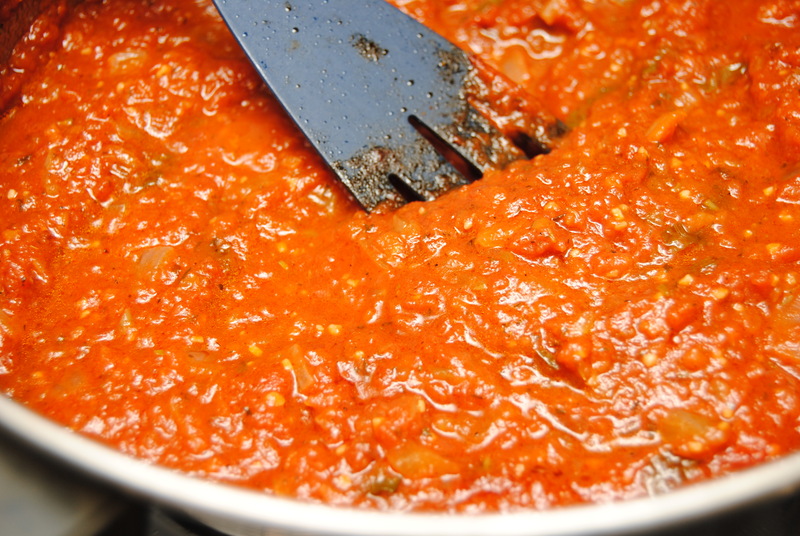 Reduce heat to medium-low and simmer for at least an hour. 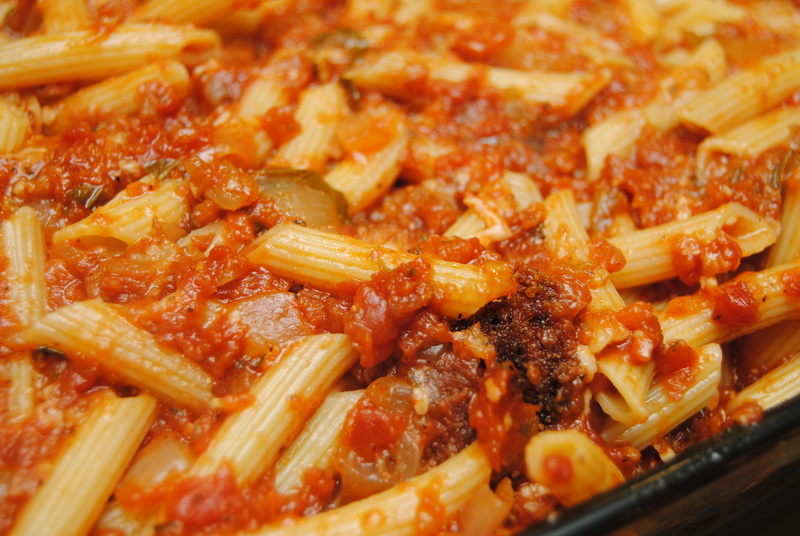 This entry was posted in Food and tagged Casserole, Chicken parmesan, Cooking, Dinner, Food, Fried chicken, Italian, Italian breadcrumbs, Marinara sauce, Pasta by biscuitsncrazy. Bookmark the permalink.